In Afghanistan, a group of cinephiles gather to rescue the country’s film archive, much of which was burned by the Taliban. 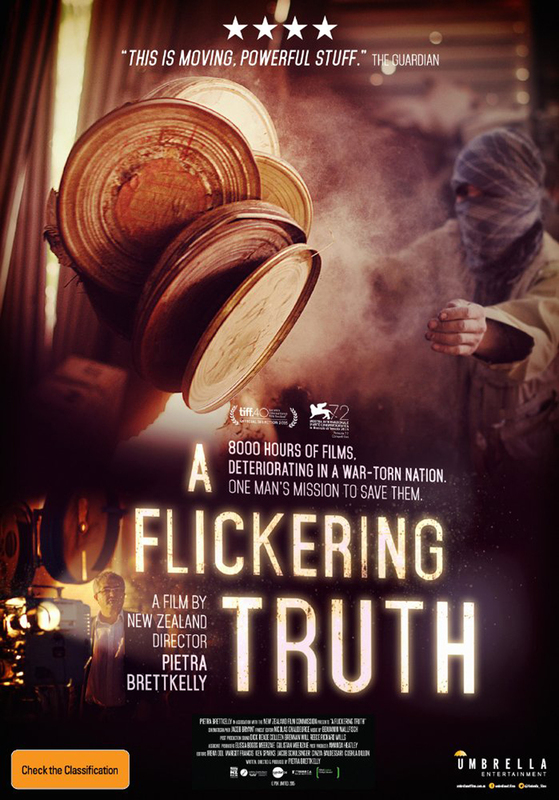 This 2015 documentary, New Zealand’s Oscar candidate, unspools rarely seen archival films and footage of the Afghanian Shah, JFK visiting in the 1960s and once grand cities destroyed by the USSR, the US and the Taliban. RealTime’s reviewer calls A Flickering Truth “a eulogistic, cinematically-shot documentary” that speaks to the role of film in building a new cultural narrative of hope and cohesion for a war-torn country. Three DVD copies courtesy of Umbrella Entertainment. Email us at giveaways [at] realtimearts.net by 5pm 18 August with your name, postal address and phone number to be in the running.